Traveler was my first show dog. I co-owned him with Ginny Rice (deceased) of Liebestraum Kennels. She was very helpful and supportive and understanding with me. 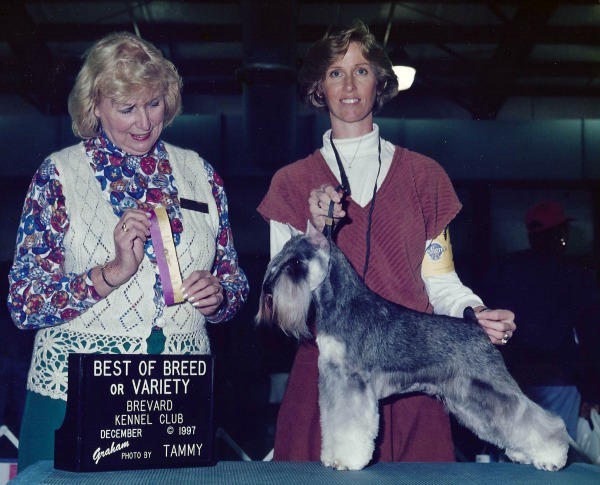 I have to credit her and Brenda Brown of BJB Miniature Schnauzers for mentoring me. Traveler was finished by Brenda Brown for me as I was out of the country at that time. He was a fun dog to show and very easy to finish.